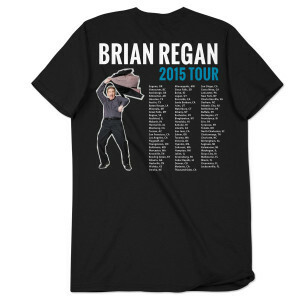 I saw Brian Regan on tour in 2015 and wanted the t-shirt as a souvenir. The graphics on the front and back of the shirt are very nice. The shirt is soft and fits nicely. Love it! True to size and great looking shirt! 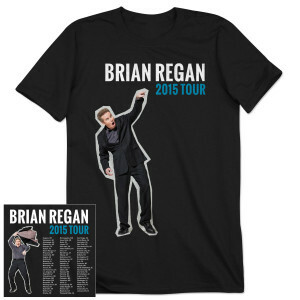 The 2015 tour T-shirt is great. Every time I wear it someone asks about Brian or gives a "thumbs up" comment about how great he is. It is a real attention getter.